Dr. Parhizkar has a partnership with Children's Hospital Oakland and has a clinic at Pleasanton CHO ENT Satellite Clinic one day a week and two half days each month. Children with Head and Neck issues require special attention that is best provided by pediatric ENT specialists. It is important for each child to be taken care of by a caring physician with expertise and experience dealing with children. In the field of ENT/Otolaryngology, the subspecialty of pediatric ENT requires further training in the form of a fellowship that expands upon and introduces specific and important aspects of taking care of kids with Head and Neck (ENT) problems. Dr. Parhizkar successfully completed a pediatric ENT fellowship at University of Washington Seattle Children's hospital in the department of ENT, division of Pediatric Otolaryngology. 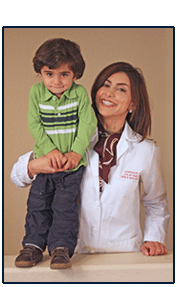 She is passionate about taking exceptional care of children as a physician and surgeon; but as a mother also understands the importance of treating each child with the best care possible. 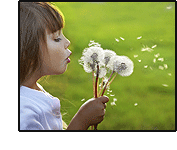 Pediatric ENT provides for the unique needs of the pediatric patient. Children with medically complex problems such as craniofacial anomalies, prematurity, immune deficiencies and airway abnormalities are best cared for by physicians who have extensive training and experience in pediatric care of the head and neck. Dr. Parhizkar works in conjunction with other pediatric subspecialty services at Childrens Hospital & Research Center Oakland to provide sophisticated treatment for the medically complex pediatric patient.